Under the dark sky, a dozen fingers click a dozen shutters. Ten seconds pass; the shutters click open. And the light show begins. An incandescent beam flickers across the broad side of Jack London’s stallion barn, focusing on the big wooden beams that form the corner, then flashing on the small windows, and then moving to highlight the pitched roof. The light reaches back into the oaks for a moment, then sweeps across the baseline, the ground just beginning to blush with green, new grass. Another beam pulses across the rusting farm equipment in the foreground, and on the stone walls of the neighboring manure barn. 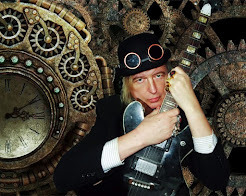 AdHd AudioTools has announced the release of Leveling Tool, a Tube Leveling Amplifier plug-in "inspired by the legends". 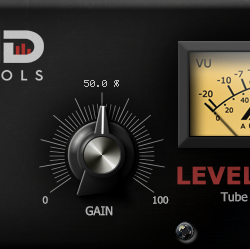 AdHd AudioTools say Leveling Tool is the ideal compressor for vocals and is useful to give character and tame the peaks on any track in the mix. Leveling Tool is free and is available for Windows (VST) and Mac (AU/VST).